Desirable Glen Meadows Home in Arden! 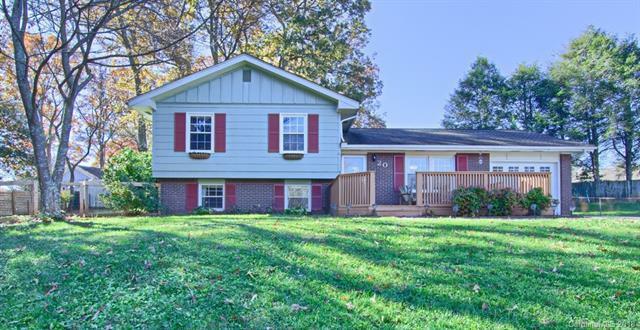 This updated home offers an open floor plan on main level with new hardwood floors & fresh paint. The Main Level Offers: a bright, spacious kitchen w/ island, new stainless appliances, new light fixtures, lots of cabinets, skylights & granite counter tops. Large Family room w/ access to back deck. Open Dining Area, perfect for entertaining. Upper level: Private Master Suite, 2 more bedrooms & Guest Bath. Lower Level: Family Room w/ large storage closet, Wood Burning Fireplace & Laundry Room. Enjoy the privacy of fenced back yard, mature trees, storage/ potting shed & deck for grilling. Just minutes to Biltmore Park, I-26, Shopping, Dining & Asheville! Schedule your showing today!